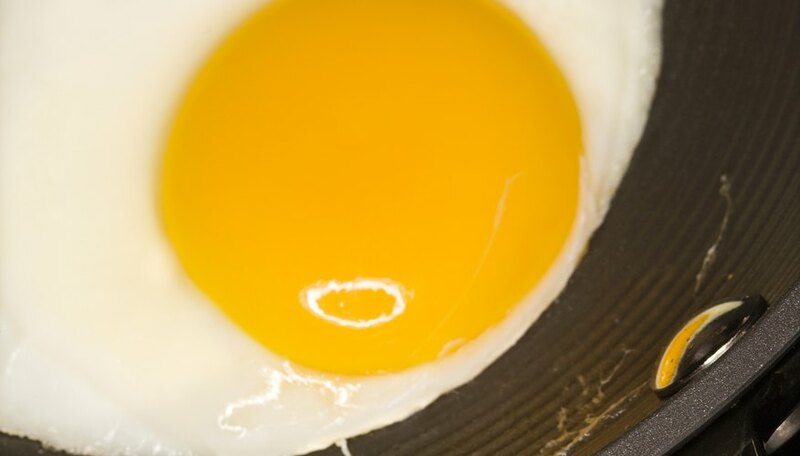 It doesn't have to be hot enough to cook an egg on the sidewalk to use the sun for cooking. Solar cookers reflect and concentrate radiation from the sun to heat a dark-colored pot. Many options exist for building solar cookers from simple materials, and each will behave differently. You can design projects that change the variables necessary to cook an egg with the sun. Compare solar panel, parabolic and box cookers in the same light and temperature conditions. Solar panel cookers are made from flat panels covered in reflective foil or mirrors. The panels are positioned to redirect sunlight onto the cooking pot. Solar parabolic cookers have curved surfaces shaped so that all sunlight is directed onto a single point where the pot is placed or hung. Solar box cookers are insulated boxes with transparent lids. The light enters and the heat remains inside. Each design will cook an egg in a different amount of time. All solar cooker designs work best when oriented directly toward the sun so they can collect the most light. However, solar cooking is slow enough that before the egg is done cooking, the sun moves and the cooker is no longer in the optimum position. Design a project that tests whether moving the cooker with the sun results in a significant difference in cooking time and how often the cooker needs to be moved to cook efficiently. The color and size of the cooking pot will also affect the time it takes to cook an egg. Dark-colored pots or pans absorb more light, so they convert more of the sun's energy into heat. Demonstrate this effect with two cookers, one with a pot painted with a light color and one that is black. The size of the pot is also important. Larger pots have more volume to heat, so testing smaller pots against larger pots will show a difference in cooking time. Solar box cookers rely on insulation to trap heat inside of a box to cook the egg. This same principle can be applied to panel cookers as well. Place the pot inside of a large, transparent oven bag at the focal point of the panel cooker. The bag will insulate the pot and prevent heat from radiating away from the cooking egg. Design a project that compares the cooking time of an insulated pot with that of a pot with no insulation. Solar Cooker at Cantina West: How Does Solar Cooking Work? Bush, Joshua. "Science Projects on Solar Cooking an Egg by the Sun." Sciencing, https://sciencing.com/science-projects-solar-cooking-egg-sun-23697.html. 24 April 2017.